Exploring the rich wine country of Paso Robles has nearly limitless options. 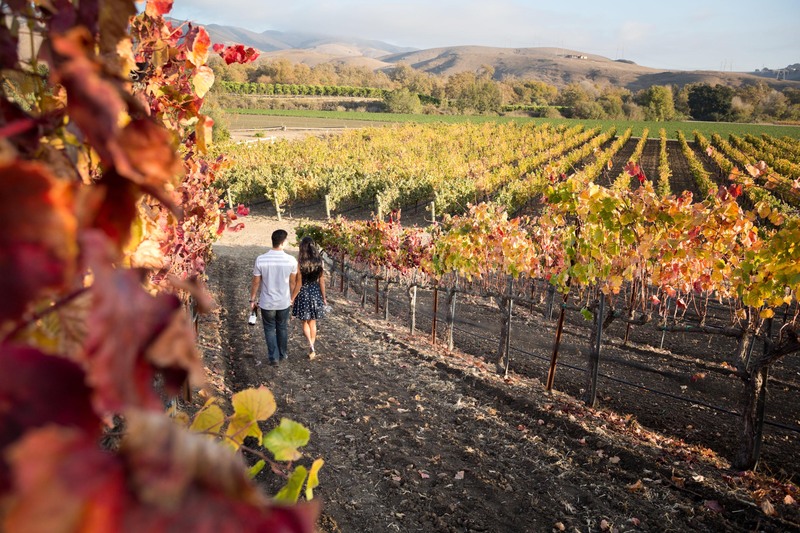 Boasting over 200 wineries and California’s largest AVA designation, the region can overwhelm your senses when planning a scheduled tour with family and friends. That’s why we at SLO Safe Ride have mapped out three geographically friendly wine tours in Paso Robles for your convenience and pleasure. Read along and hopefully we can inspire you to experience new venues and vines! If you’ve read our Central Coast wine + pizza pairings, you know how we feel about Opolo’s red wine. Luckily, Opolo offers wood fired pizza that is heated to perfection! With their Mountain Zin, a cheese pizza and the vineyard views, you’ll be sure to be in heaven. Ever wanted to storm a castle? Now you can (at least figuratively)! Experience the life of luxury at Tooth & Nail with a glass of Rabble Merlot. Take in the rolling Paso Robles views, explore the castle’s rampart seating, or listen to live music in the outdoor lounge. 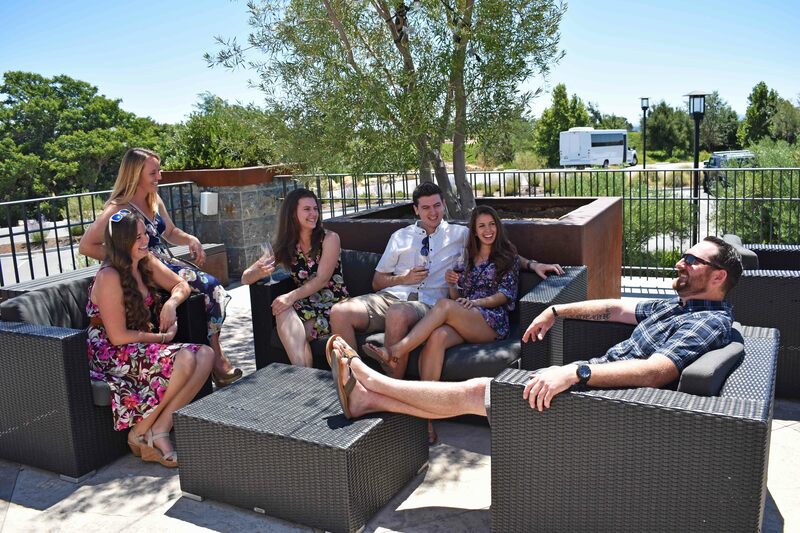 With credibly claimed “The Best View in Paso,” you’re sure to have a relaxing and enjoyable experience. We recommend this winery for a more luxurious excursion, but they are also pet friendly to keep the atmosphere intimate and casual. Buy a bottle of Rosé and dine outdoors to take in all that Paso Robles wine country has to offer. The masters of reds, their wines are aptly described as elegant and rich. The venue consists of a completely self-sustainable facility on land dating back to the era of airplane runways that used to fly Reagan into San Luis Obispo County. Indulge in a glass of their Ancestor and go home with a few new history facts. Sculptures, vines, and wine – oh my!! Affordable tasting fee, plentiful wines to savor, and beautiful landscape to traverse will keep you returning for more. An extensive lunch menu, including the famous “Best Burger in Paso Robles” and a beautiful charcuterie plate will leave you and your guests full and happy. Add a glass of wine and you’ll be ecstatic. As more of an eatery, you are welcome (and encouraged) to include a wine tasting with your meal– now that’s what we like to call wine & dine! Known for the tasting room’s character, and bold statement of a Zinfandel, you’ll leave with at least four bottles in arms. Did we mention the tastings are free? A truly family oriented winery, your overall experience is bound to be beyond your wildest dreams. Do you ever think of sipping a glass of wine in a vintage train car? We do. At Pomar Junction, that is exactly the game plan! Explore the rolling hills of vines, walk around their vintage train car and taste their Fiesta blend. 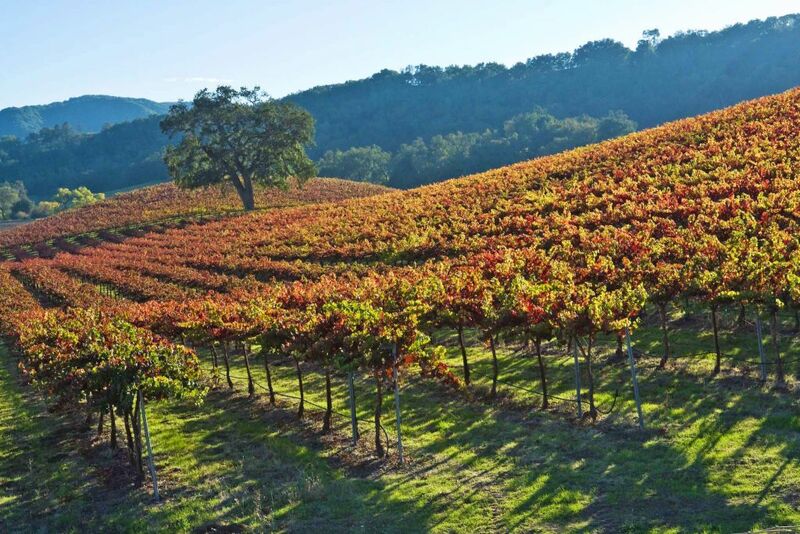 Hansen is home to some of the best Cabernet in the region. Ideally balanced, and never too bitter, Hansen’s entire series of cabs are easy to drink. This quaint, family-oriented winery is not for the faint of heart – If you don’t drink Cabernet, you will not enjoy their wines. If you do enjoy Cabernet, we found your heaven. Skip across the two-lane road to Sarzotti to nibble on a delicious spread of cheese, crackers, tapenade and pesto. If you’re looking for genuine family stories and delicious red wine, this is your place. Travel back in time to the origins of Sarzotti Vineyard while almost getting lost in their Petite Syrah. As always, we would be remiss if we did not encourage planning a wine tour well in advance with professional transportation via SLO Safe Ride! Our enthusiastic operations staff will happily assist with further recommendations, planning, and making reservations at wineries. Contact us via our Paso Robles Wine Tour page, email (info@slosaferide.com), or give us a call at (805) 620-7233!